The Xp 38 delivers an unrivalled sailing experience in a dual-purpose cruiser-racer. This model after launching, quickly developed into a global fleet, with boats sold from Japan to Hungary, Switzerland to Australia. It was nominated for Sailing World Boat of the Year 2013. This enjoyment comes from the Xp 38’s high level of responsiveness, thanks to high ballast ratio, light and stiff epoxy infusion construction and carbon keel structure, and controllable sail plan. High stability and ease of handling makes the Xp 38 a rapid and comfortable yacht to cruise with excellent sea-keeping in all conditions, as well as a high performance racing design for both inshore and offshore. 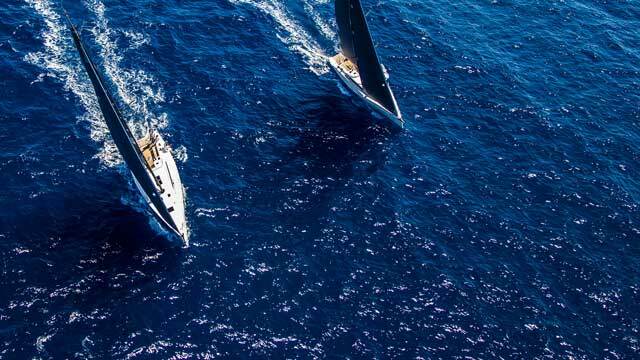 It has scored a host of race victories under both IRC and ORC. The main reason you own this boat is because you love sailing. Seeing it underway, it just lights you up. Deck-recessed halyards and control lines, flush deck hatches and port-lights create a clutter-free and aesthetically appealing deck layout. Design details include an optional folding table concealed within the cockpit sole, with dedicated storage for all the essentials – even the washboards. The twin composite wheels are offered with a range of pedestal choices, including compass and instrument mounts, together with optional electric or high-powered manual winches. As with all the Xp models, the composite keel features a lead bulb and cast iron fin, precision moulded and encapsulated in a vacuum infused GRP layer for a perfect, hydrodynamic finish. Through hull fittings are also recessed to reduce underwater drag, together with a faired 'S-drive' engine strut. 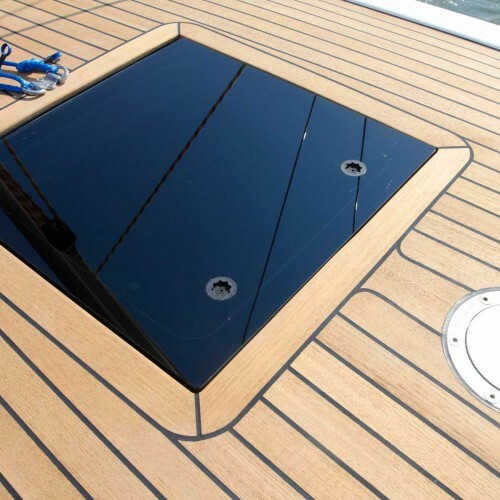 The Xp 38 deck hatches, portlights and windows are carefully selected for a flush fitting. The inventive optional cockpit table folds neatly away into its own recess in the cockpit sole. The optional folding transom creates a secure stern area or a teak-topped swim platform with telescopic swim ladder. The Xp 38 offers a choice of four pedestal options to customise the twin composite wheels. The Xp 38 deck hatches, portlights and windows are carefully selected for a flush fitting. Advanced design hinge mechanisms on the opening coachroof windows ensure there are no fittings or bolts visible from the outside, yet allowing ventilation and increased light down below. The inventive optional cockpit table folds neatly away into its own recess in the cockpit sole, enabling a swift change from functional sailing area to stylish entertaining zone. Additionally, there is a designated recess for the sprayhood framework and canvas, a specially designed 'garage' for the washboard, and a built-in halyard bin for rope tails for a clutter-free, safe and smart cockpit and coachroof area that is a pleasure to sail or relax in. The optional folding transom creates a secure stern area or a teak-topped swim platform with telescopic swim ladder. Liferaft storage is also integrated into the cockpit sole while there is ample additional storage easily accessible in the cockpit lockers. Adjustable foot-chocks ensure the helmsman may enjoy a perfect steering position, with a sense of security as well as a clear view forward during manoeuvres and close sailing situations. The Xp 38 offers a choice of four pedestal options to customise the twin composite wheels and ensure every skipper has their preferred information at their fingertips. In addition, displays can also be mounted on the mast bracket and/or the companionway instrument housing for ease of viewing by all members of crew. The Xp models were conceived as true dual-purpose yachts. The guiding principle is that the Xp 38 should be highly competitive when sailed with a full crew and also easily handled by a couple or family. It should be optimised for racing under major handicap rating systems, but equally suited to a relaxed weekend cruise or a longer blue-water passage. Key to this adaptability is the multi-functional bowsprit, which offers four variations. The standard fixture is a GRP cowl with integrated anchor fitting. This allows for asymmetric ‘Code’ sails and similar to be flown from a fixed tack point, whilst ensuring the steel anchor roller with electric windlass are easily accessible. Two other popular options are a carbon bowsprit in either white painted finish or clearcoat black, with the additional option of an integrated anchor fitting. The sprit enables a full sail wardrobe of asymmetric spinnakers and reaching Code Zeros to be carried, particularly when racing under IRC. The anchor fitting is neatly concealed under the sprit. A fourth option of a plain GRP cowl is offered, particularly for boats which may race under ORC. In addition to all of the above, a symmetric spinnaker pole can be carried for further flexibility. The Xp 38 interior combines innovation with classic comfort and style. The Xp 38 interior is available in both three and two cabin layout versions, which both benefit from exemplary use of light and space. The Xperformance range’s innovative sliding chart table allows the navigator to be seated either forward or aft-facing, or for the chart table to be slid aft to increase the side berth seating. There is also a fixed chart table option which includes additional storage drawers, with both featuring an easily accessible electronics control panel and deep bookshelves above. The saloon table also incorporates concealed storage, either drawers or bottle storage, and neatly folds away to facilitate crew movement whilst sailing. The secure galley is moulded in one piece for minimal weight, and is arranged in an L-shaped configuration for safe working at sea. A gimballed two-jet gas cooker and cool box are fitted as standard. Options include a three-jet cooker with oven and grill, 65-litre fridge and microwave oven. The Xp 38 standard layout offers three comfortable double cabins providing ample accommodation for friends, family or crew. It features the unique and innovative Xperformance sliding chart table, which provides flexible seating in the spacious saloon, accommodating both a secure forward-facing navigation station whilst underway and additional sofa seating for comfortable entertaining when in port. The three cabin layout is also offered with a fixed aft facing navigation station with drawer storage beneath. Other options include spacious freeboard shelves or pipe cots in the symmetrical aft cabins. The Xp 38 is also offered with a spacious two cabin layout option. This interior comes fitted with a forward-facing fixed navigation station as standard. Beneath the chart table there is also ample storage with drawers including a dedicated tool compartment for easy access, as well as deep bookshelves above. There is also an roomy heads aft, featuring a shower stall with seat, and a capacious cockpit locker for ample storage, accessible from the cockpit. The aft port cabin also has the option of pipecots or freeboard shelving. The standard rig package includes an aluminium mast with discontinuous rod rigging and hydraulic backstay for efficient and repeatable tuning. The Xp 38 was also conceived with an optional deep draft keel configuration with high aspect ratio fin, carbon rig and performance deck gear.